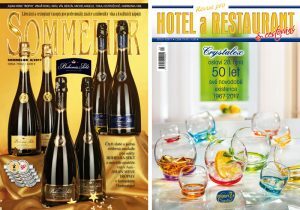 The oldest Czech magazine for hedonistic gastronomy and wine lovers has been in print since 1990 as a part of Revue for Hotel and Restaurant, since 2002 is published as a peculiar title. Our target group consists of professional sommeliers, F&B hotel and restaurant managers, wine-dealers, vintners, and lovers of wine and gastronomy. 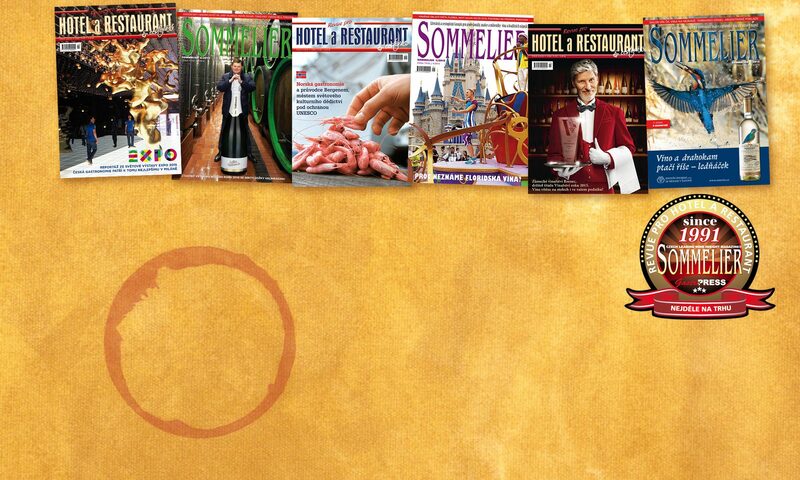 The magazine provides information about sommeliers’ competitions in the Czech Republic and in the world, conveys detailed reports on wine exhibitions, wine tasting and other important events, and portrays domestic and world wine regions, wine-makers and leading personalities from the wine industry. The magazine includes reviews of books about wine, brings timely invitations to interesting events relating to wine, as well as furnishing the latest information about tourist programmes for wine lovers. Special attention is devoted to introducing rare wines, and recommending interesting oeno-gastronomical combinations of such wines with different menus. Complementing the scope of feature articles, the picture kaleidoscope fills the gaps in the news, capturing all the latest information from the world of wine-growers and sommeliers. The magazine also targets the wider public, namely readers in search of accessible, easy-to-read insights into wine culture. It strives to educate and inform the public about the world of wine, and supports the sale of Czech wines to the wider public and to the gastronomy business. This professional magazine for restaurateurs, tourism and the hotel trade targeted readers interested in good food, drink, coffee or tobacco. 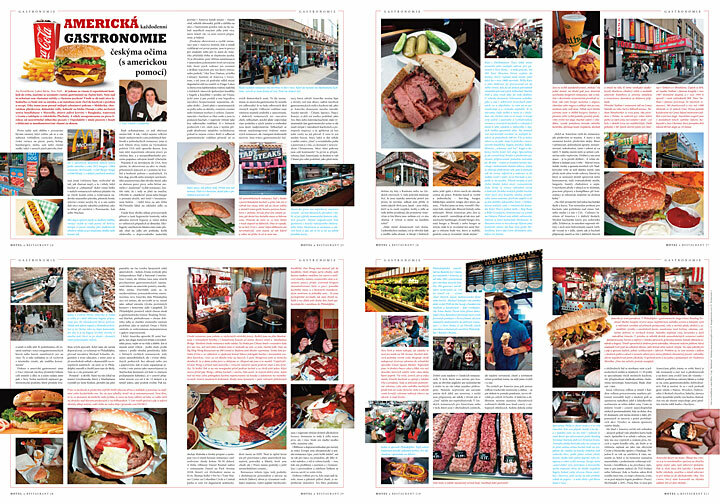 The travel part offers the tips´n´guides thru gastronomy, beverage culture and sightseeings in different places around the world. There is an emphasis on news from events, such as hotel and restaurant presentations, competitions, exhibitions, and the activities of professional organisations – NFHR, HO.RE.CA, AHR, ACK etc. The target readership includes businesspeople from the hotel and restaurant trade, technology and raw materials suppliers, frequent travellers and lovers of good food and drink. The magazine introduces interesting products that can enrich the fare of restaurants or improve the hotel and accommodation experience. We test various products and inform readers about the results. The first issue was published in 1991!